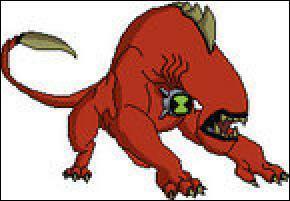 Ultimate Wildmutt. . Wallpaper and background images in the Ben 10: Ultimate Alien club tagged: ultimate wildmutt. Can't wait to see it in the show! Lol it was on the show and now Ben can talk while useing it! (Remeber he couldn`t with the other 1)It was in episode :Prisoner 775 ecapes. It was a good 1.